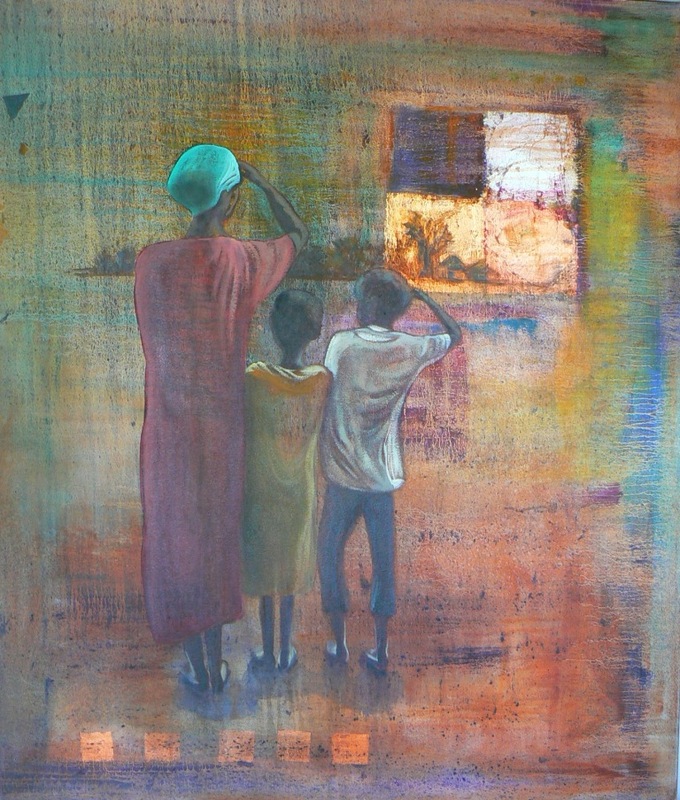 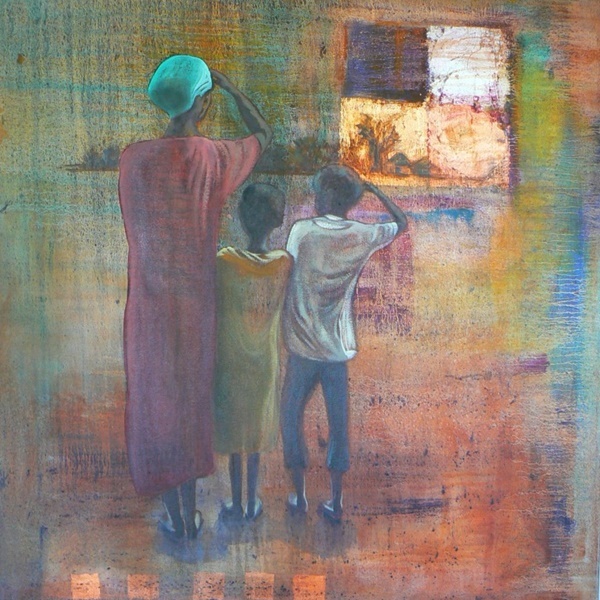 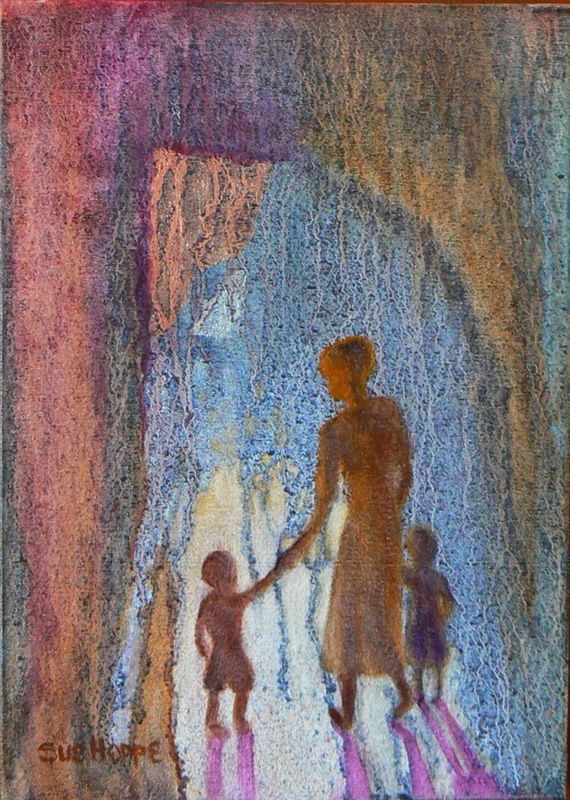 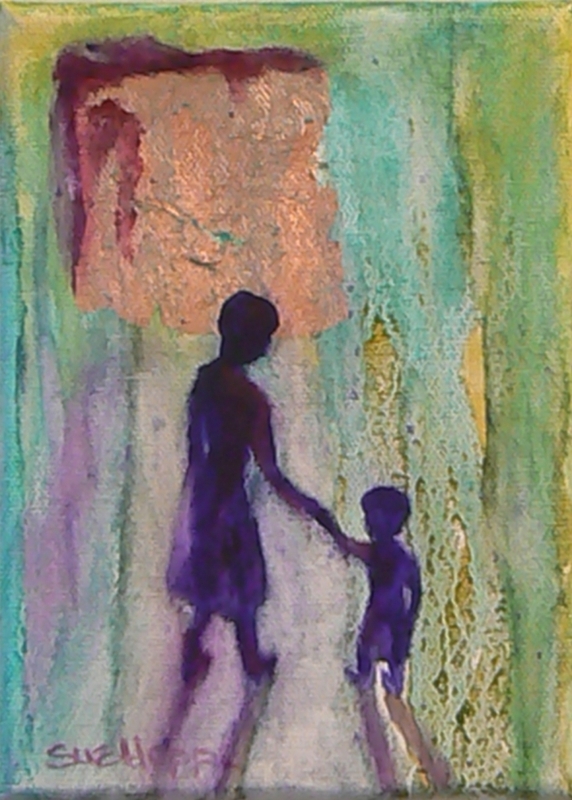 Arising from the Africa Weeps series, the works acknowledged the role of single mothers, many of whom are refugees. 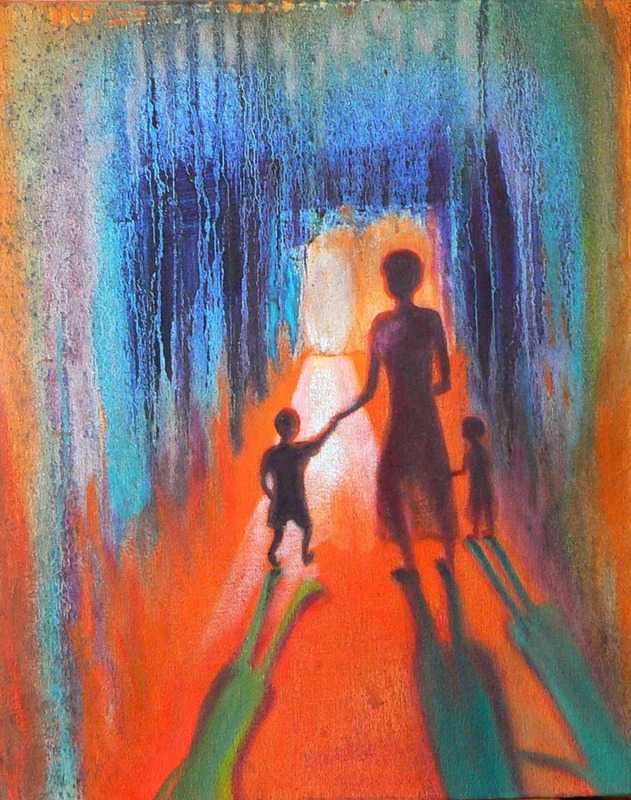 I feel that many single moms fall into the category of everyday heroes… as they juggle the need to earn livings and meet the needs of their children. 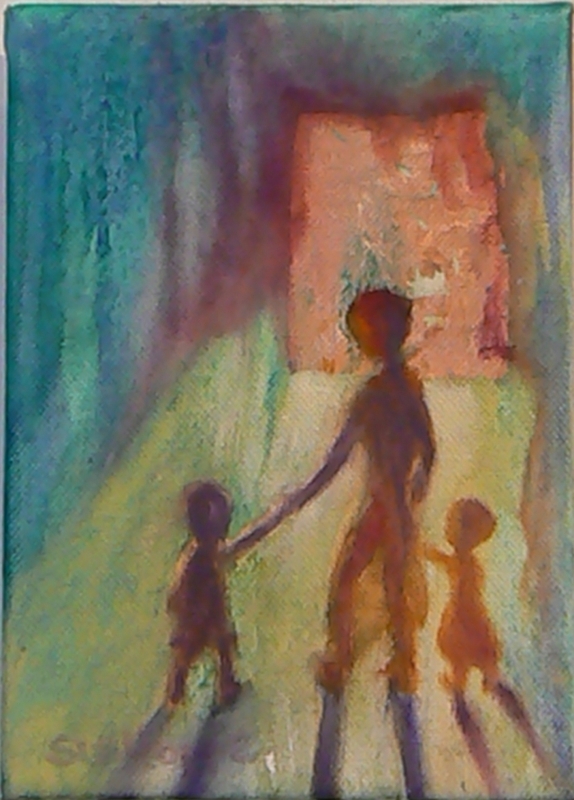 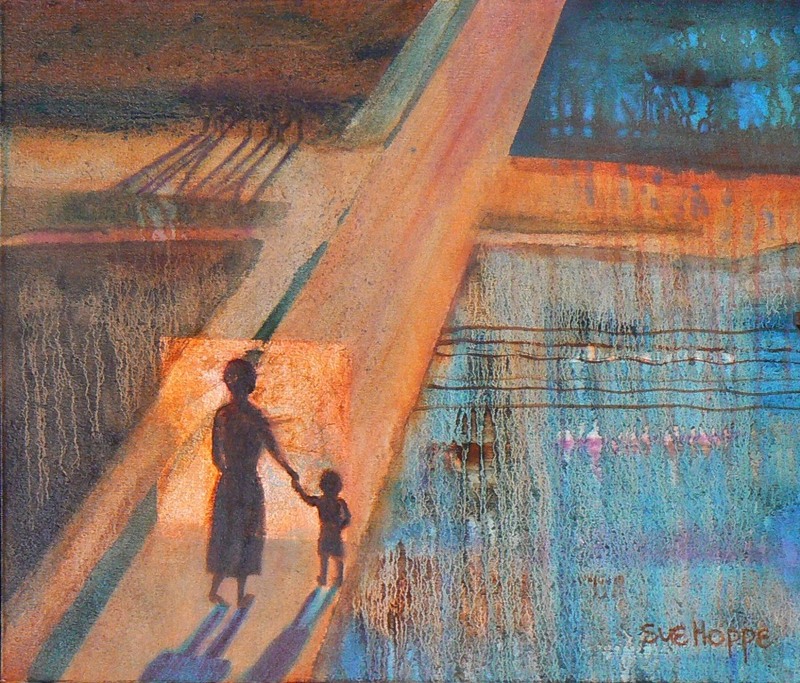 The works are a tribute to those who guide their children through situations of social meltdown and uncertainty with grace, dignity and courage, often being torn between attending to work, or being with the children, to guide and protect them.